I have visited Tsukigase in Nara to survey the progress of spring tea and their production. It was just in the mid of tea season. I met with our tea manufacturer and we exchanged a lot of innovative ideas regarding tea processing, and I inspected the outcome of the experimented teas. 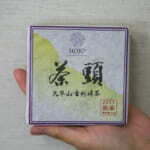 This year we are planning to introduce a few types of tea from Tsukigase. 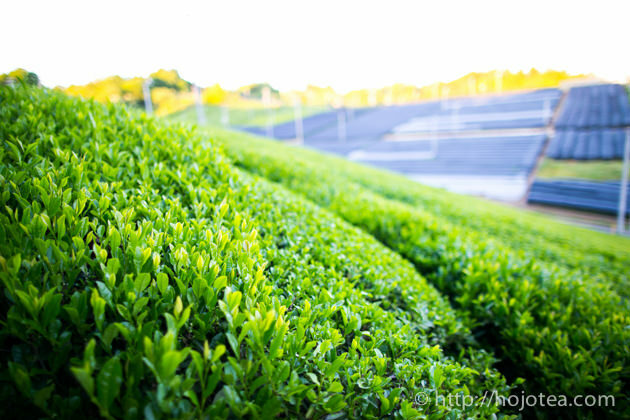 Our tea manufacturer in Tsukigase strictly practices natural farming method. They are totally not using any pesticide. In addition, they never use any nitrogen fertilizer. They will only use the compost produced from the surrounding weeds. 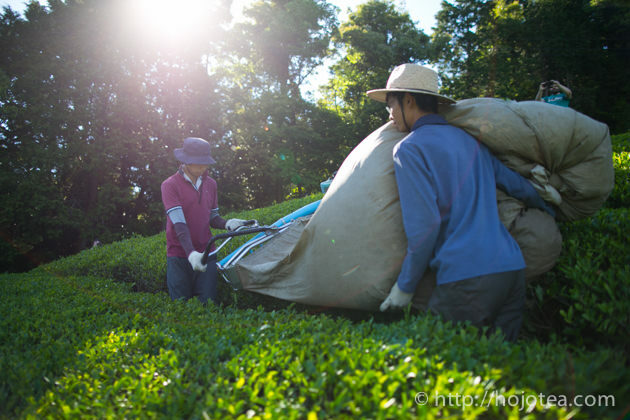 Our tea comes from the tea garden that is specially dedicated for us. Every year our tea is collected from the same garden. 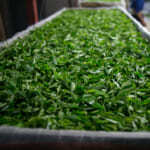 We are very particular about the tea from the tea tree grown with seedling method. Seedling means tea tree is planted from a seed. Nowadays, it is very rare to have tea tree grown with seedling method. 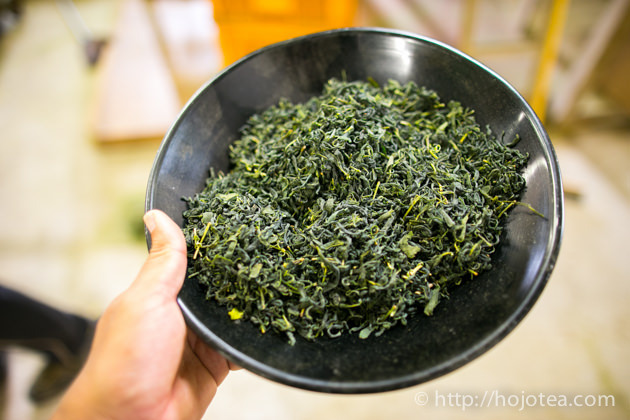 Normally, most people are interested with the cultivated tea such as Yabukita, Sayama-Kaori or Okumidori. With the seedling method, the roots of the tree are growing straight under the ground. The roots are very long and it grows deep. It absorbs mineral very effectively. 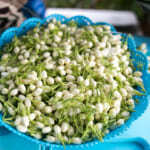 As for the cultivated tea, it is propagated by sticking. The root grows wide and shallow; the roots spread widely under the surface of the ground. It is very less effective to absorb minerals, as the root is not deep enough; instead it is very suitable to absorb fertilizer. I always emphasize on minerals and poly phenol content in tea. These substances directly affects to the after taste and clarity in taste. 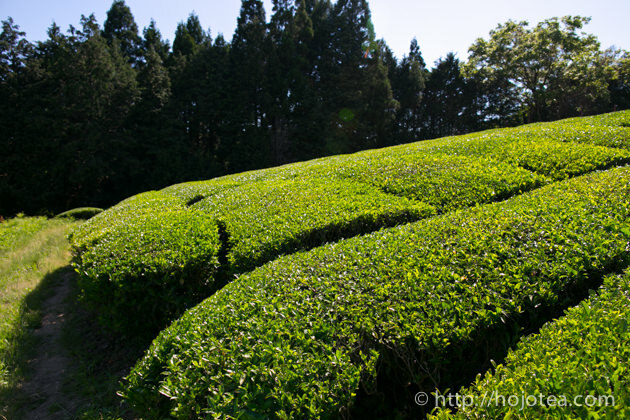 In Japan, the tea grown with seedling method is called Zairai. Sometimes people called it as Zairai cultivar. But it is incorrect way to use these words. Zairai is the seedling tea, whereas cultivar refers to cultivated tea propagated by cutting and sticking the tea twigs from the mother tree. 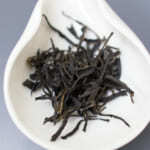 We newly added a black tea from Tsukigase. This Tsukigase Black Tea is custom-made following my own criteria. 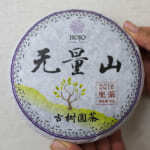 I requested very long withering until it produces strong sweet aroma like those sweet fragrance we experienced when we produced white tea in Yunnan. In order to enhance the effect of the long withering and bring up the strong muscatel flavor, we optimize the fermentation process to a minimal level. Usually, the strikingly sweet fruity flavor will diminished if the fermentation process is too lengthy. Asamomi in Japanese means light rolling. 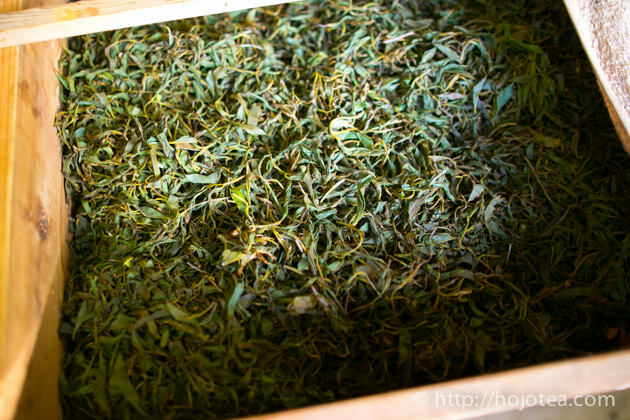 In processing Japanese tea, the rolling process involves a lot of heat. During the rolling process, hot air is constantly blown. As a result, the flavor of tea is oxidized due to the heating, and the more rolling involves, the extent of oxidation increases. 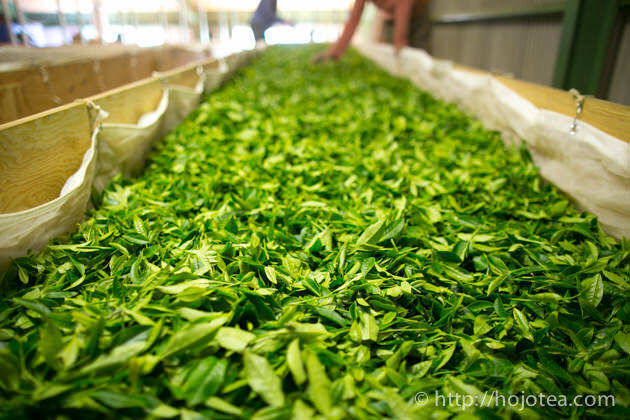 Our aim is to have Japanese green tea that retains the fresh tea leaf flavor and lasting for multi-brewing. 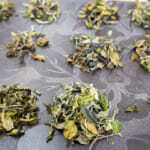 As such, we designed the process to make the lightly-rolled sencha. This year we made some improvements. 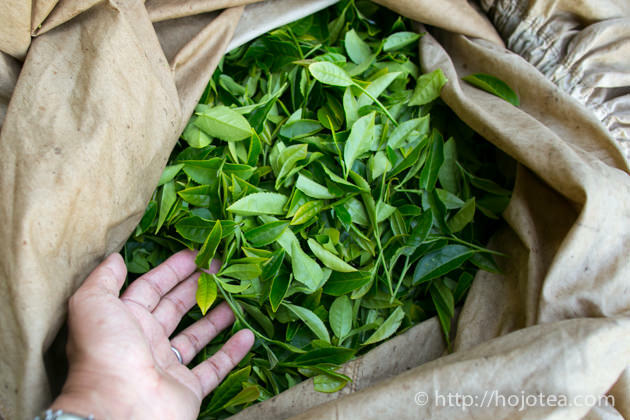 We placed the fresh tea leaf in the forest for a day to conduct the natural withering process. 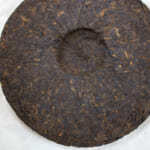 In addition, we drastically shorten the steaming process in order to minimize the distraction of flavor. As a result, we achieve very fresh floral flavor with Tsukigase Asamomi Sencha. This is our standard lineup that we have been introducing it in the past several years. In a few hundred million years ago, Tsukigase was at the bottom of Biwa Lake. Biwa Lake is the biggest lake in Japan. Now it is located in the Northern part of Shiga prefecture. Since Biwa Lake has disappeared from Tsukigase area, the land has changed a lot by river erosion. Now if we visit Tsukigase, we will notice a number peaks of small mountains. Interestingly, the height of those small mountains are the same. In fact, the peak of those mountains are exactly where used to be the bottom of the old Biwa lake. So it is very important to choose the tea garden that is located around the peak of those small mountains. Every year our tea manufacturer reserve one of the specific tea gardens from these small mountains for our Tsukigase Zairai Sencha. 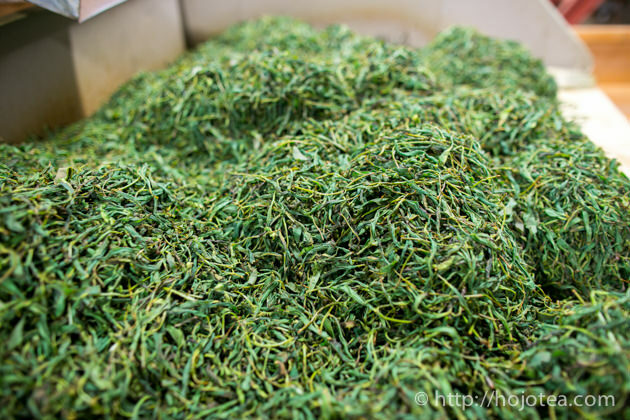 Thanks to the soil that is rich in minerals, seedling tea tree and natural farming practice, tea does not gives Umami at all like ordinary sencha, instead it gives very clear and floral scent. 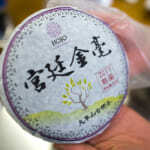 We love this tea because of long-lasting flavor and sweetness with a clear and refined drinking sensation. 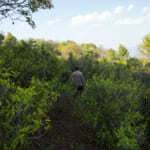 Tea garden right after the harvest.